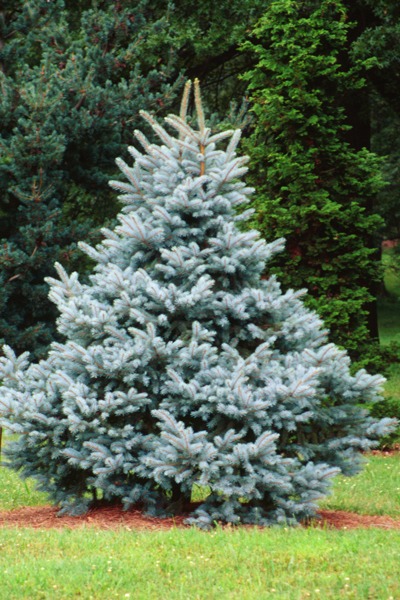 Height 100′ The Blue Spruce is the most sought after evergreen of all. You will love the brilliant blue-green color and stately pyramidal shape of this tree. Makes absolutely the most magnificent living screen. Flower and cones are similar to Colorado Spruce. Grown in parks, gardens.